If you’re among the many who can’t do without putting on a pair of uncomfortable high heels to feel confident. Our focus today is the common issues women face by regularly subjecting their feet to high heels and its possible health risks. Most of us agree heels look good on the ladies, the problem is with the damage it causes. Every year the heels get narrower and higher with lesser support for users. The higher the heel, the more risk it poses. The type of shoes we wear affect our legs, spine, waist, and hips as we grow older. 1.) 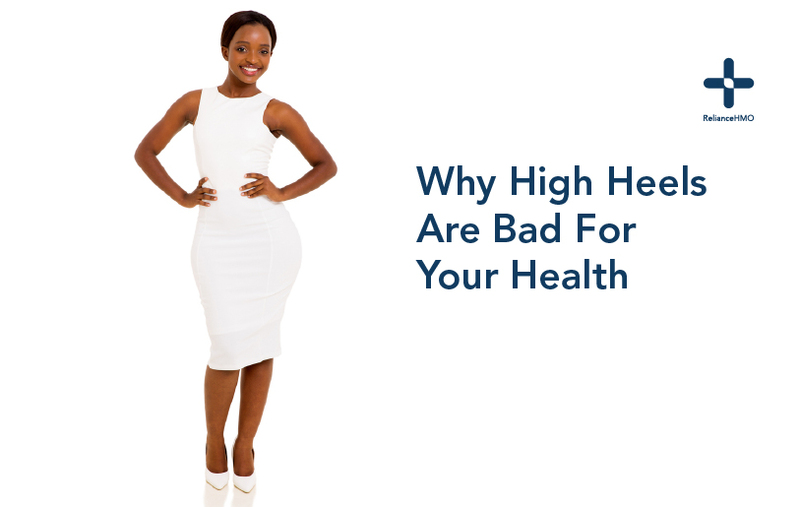 High heels could cause foot pain, weakness of the ligament, constricted blood vessels and sore calves. 2.) Regular use of high heels eventually leads to lower back pain. This is because of the pressure on the lower back which causes the pelvis to move forward when standing or walking. 3.) People who wear high heels for a long time develop distorted spines. The spine and toes adapt over time to the heels to gain balance. 4.) While trying to maintain balance, the stress on the calves, back muscles and hips often leads to muscle cramps. 5.) In some case the ‘big’ toes are put under chronic pressure, this leads to nail trauma, hammer toes or ingrown toenails. Hope these points are enough to make you give your feet a break and wear flats a few days of the week. • Exercise your lower muscles regularly. • Do yoga poses that that stretch the leg muscles. • Add cushioned inserts and heel grips.